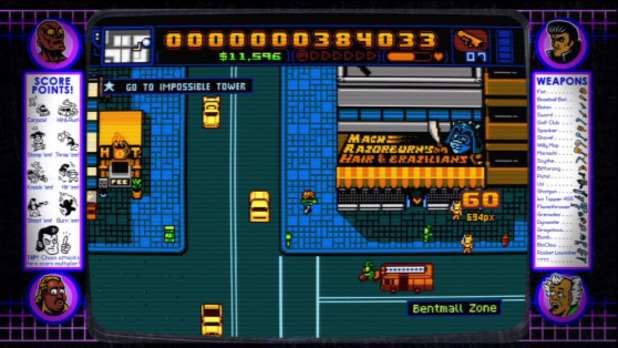 When Retro City Rampage released late last year, it was met with considerable success, though the system that saw the most downloads might come as a surprise (providing you stopped reading the title at “Rampage” and just clicked on the story). One-man army Brian Provinciano was on Twitter earlier today talking about the success of the game and mentioned that it has had its highest sales on the PlayStation Network. However, even on PSN, the highest-selling platform was the PS Vita. So, not only did PS Vita outperform the PlayStation 3 in terms of Retro City Rampage sales, it also did better than Steam and Xbox Live Arcade. That’s pretty impressive. We thought it was pretty great, and now that it’s on pretty much every major console, it’s a great time to check it out if you haven’t yet. Tell us some of your favorite secrets in Retro City Rampage, or share your findings in our forums!